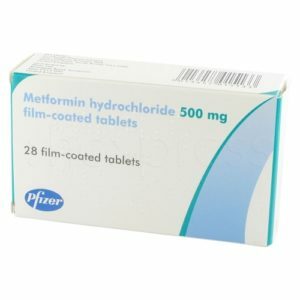 Metformin, commonly referred to as Glucophage is classified as an oral anti diabetic drug that belongs to the biguanide class. 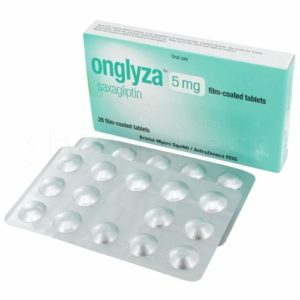 Glucophage is a first line medication used for the treatment or control of Type 2 Diabetes, especially in patients that are obese and have kidney problems. However, when it comes to gestational diabetes, the use of Glucophage is limited due to safety reasons. Aside from diabetes, Glucophage is also used as a treatment for polycycstic ovary syndrome. There is also evidence (through studies) which shows that Glucophage can be used for other conditions where insulin resistance may be a significant factor. Compared to other similar drugs, Glucophage is the only anti diabetic medicine that is known to prevent cardiovascular diabetic complications. Glucophage is an oral medication intended to control the sugar levels in the blood, especially for people who have Type 2 Diabetes. It is sometimes used together with other medicines to treat other conditions. However, Glucophage is not intended to control Type 1 Diabetes. 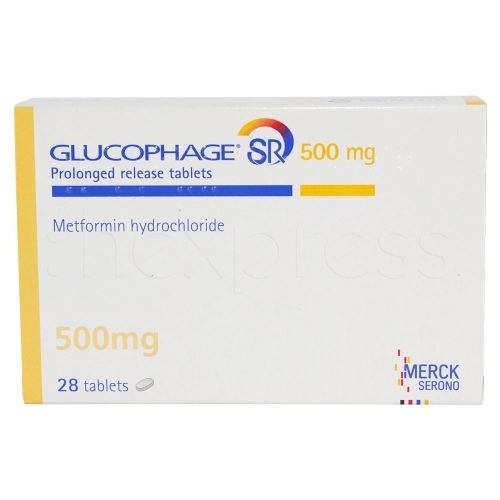 Glucophage (metformin) works by inhibiting glucose production in the liver. Not similar to other anti diabetic drugs, it does not cause the patient’s body to produce more insulin. Because of this, Glucophage rarely causes hypoglycaemia (low blood glucose) when used alone. However hypoglycaemia may be experienced when this medicine it used along with insulin or other diabetes drugs like nateglinide, repaglinide, or sulfonylureas. How do I take Glucophage? The length and dosage of Glucophage depends on the condition of the patient and how he/she reacts to the medication. Generally, Glucophage should be taken with a meal, one (1) to three (3) times a day (depending on the doctor’s prescription). In some cases, Glucophage is combined with other medicines (usually insulin or other diabetes pills) in order to make the treatment more effective. Because Glucophage works differently compared to other similar diabetes drugs, it will not cause interference to their action. In the event that the patient forgets to take the daily dosage, the patient can still take the skipped dose provided that it has been less than two (2) hours from the prescribed dosage time. If otherwise, the patient must contact a health care provider immediately. Taking two doses in order to make up for the skipped dosage is not advisable. Can I buy Glucophage online? Yes, you can buy Glucophage easily and privately online. 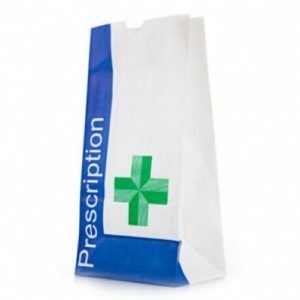 First, you must fill out a short consultation form which will allow a doctor to write you a prescription. Make certain that you give the doctor relevant medical details. Once the doctor approves the medication and sends the prescription to the pharmacy, you should have it in less than 48 hours. After a few weeks of taking this my blood sugars came right down and have stayed low. Did 5 failed IVF and 2 months on this and got pregnant naturally. This medicine has definitely improved my quality of life. Within the first 2 weeks of starting metformin, I lost 8 pounds (where before I struggled to lose weight). Now I am in a healthy BMI for my height group. I experienced no nausea while taking this medicine (I took it in the middle of a meal). I did experience some intestinal side effects (gas / diarrhea) for the first week, and the first week I increased my dose. Does not keep the sugar from spiking. 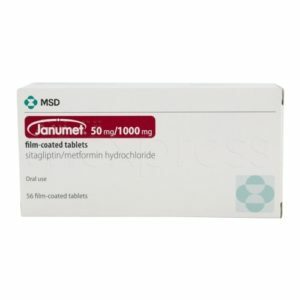 Metformin (Glucophage generic) works very well without any side effects (maybe a small bit of diarrhea and gas – but that helps getting rid of my constipation). I am NOT overweight. In great shape with running, playing tennis and golf, etc. Age 65. Never was overweight. Got diabetes from drinking way too much Coca Cola and eating too much sweets (donuts, cake, candies, etc.). Always burned off the sugar so never put on weight. Never knew sugar was a poison that affects metabolism. Started taking metformin (3 X 800 daily dosage two years ago. With diet changes, brought down my blood glucose level from 358 to 130, and A1C from 15.9 to 6.7. Not out of the woods yet, but huge improvement and metformin is the only drug that works for me. Seems diarrhea is main culprit with this med. Been taking it 20 months so far, as far as control of diabetes does not seem to have much affect on blood sugar. I have side effects from most brands of genetic metformin because they use cheap fillers. Real Glucophage is my only option. Why is it so expensive? My insurance won’t cover it. But I have no side effects. Guess it’s worth it.